Do you need some one you can trust with your plumbing repair or remodel? If so, look no further than Up A Creek Plumbing L.L.C. We are based in Salem, Oregon and serve the city and its surrounding areas. We offer years of experience in the plumbing trade, and are willing to tackle tough projects, big and small. Your satisfaction and customer experience are our highest priority. At the moment we are only able to offer services to residential customers only. Our services include: + Plumbing + Drain Cleaning + Water Heater Installation + Water Heater Repair + Remodeling + Natural Gas Piping Here at Up A Creek Plumbing L.L.C. we believe in quality work and service. Our trade knowledge and skills will assure your satisfaction for all your plumbing needs. Please contact us for a free estimate today. 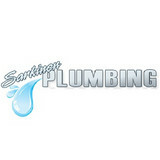 Simpson Plumbing Inc provides expert plumbing service to both residential and commercial properties. We are quick, efficient, and always respectful of your time, budget, and space! Serving all your plumbing needs since 1977. 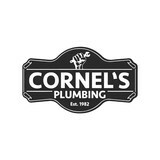 We are a small plumbing business primarily focused on residential, remodel and new construction. 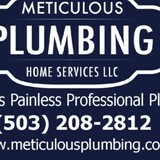 We have been in business for over 8 years but provide almost 17 years of plumbing experience in the state of Oregon. Meticulous Plumbing provides exceptional customer service and the highest quality plumbing installation, maintenance, and repair in the Pacific Northwest. Our well-trained service department makes any plumbing, hvac, boiler or controls repair job only a phone call away. Don’t live with a drip! Let Emerald Plumbing fix your plumbing problems. Whether it’s a drippy faucet or toilet repair, water heater or water line issues, we are dedicated to resolving the problem. While our business is new, we have 12 years of plumbing experience. Our work ethic is focused on exemplary customer service and attention to detail, which makes us the plumbing company to call. super emerald plumbing emerald faucet We are family owned and operated. 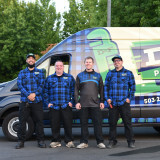 Since 1993, Clog Pro Plumbing & Drain has been committed to providing excellent service and support to all of our customers throughout the Portland, Or metro area. Our employees always stay up-to-date with the latest techniques and industry standards, and strive to provide our customers with timely, quality plumber services. Whether you are in need of expert drain cleaning & hydro jetting, fixture repair & installation, leak detection, plumbing repipe, sewer line excavation & repair, storm drain cleaning, water & sewer line repair, video inspections, 24/7 emergency plumber services and more, our expert plumbers have you covered in both commercial and residential plumbing services. At Clog Pro, we only sell and use products from the best manufacturers in the industry, ensuring the job has not only been done the right way, but with the right plumbing parts. We are BBB Accredited, family owned and operated. For more, visit our website or call us today at Clog Pro Plumbing & Drain. Serving Gresham, Beaverton, Tigard, Milwaukie, and the surrounding Portland, Oregon metro area. When a home improvement job involves installing or repairing water, gas or other pipes, it’s smart to hire a licensed plumber in Washougal, WA. Their expertise can help prevent costly water damage to a home’s structural elements, and provide peace of mind that the job is done correctly. Building a new home or remodeling an existing one always calls for the skills of a certified plumbing company as well, so don’t hesitate to contact one for any project, big or small. Read further for more tips on hiring to best local plumbers in Washougal, WA. A plumbing contractor handles the installation and repair of water, sewage and natural gas pipes throughout a home, as well as interior and exterior faucets and fixtures. Plumbing contractors are also trained to work with water mains, septic tanks, laundry appliances, water heaters, sump pumps and other plumbing and pipe systems. Because plumbing repair work is done largely behind walls and beneath floors, some plumbing companies can also patch or replace tile, stonework and other surfaces. Although some Washougal plumbers are generalists, others specialize in specific areas; a 24 hour emergency plumber will handle urgent residential repairs, while others may be more skilled in remodeling, natural gas lines, overhead sprinkler systems and more. Find a local Washougal plumber on Houzz. Narrow your search in the Professionals section of the website to plumbing contractors in Washougal, WA. You may also look through photos of Washougal, WA projects to find a licensed plumber who has worked on a project similar to yours. Here are some related professionals and vendors to complement the work of plumbers: General Contractors, Septic Tanks & Systems, Kitchen & Bath Designers, Kitchen & Bath Remodelers.